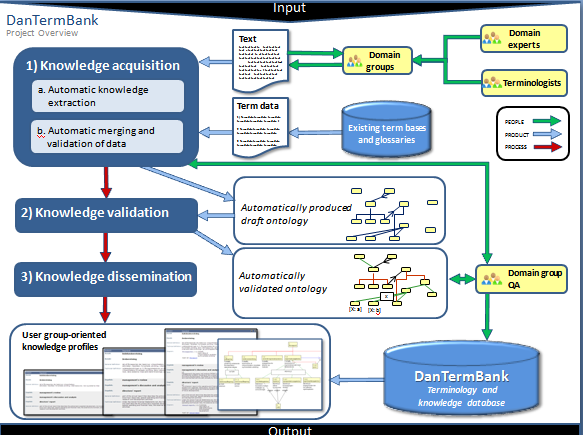 The long-term goal of the DanTermBank project is to establish the foundation for a national terminology and knowledge bank, and consequently the project must find solutions to a wide range of problems, e.g. how to ensure interoperability with other term banks. A preliminary termbank for testing has been set up. It contains terminology within limited subject areas, and can be visited at: http://dtb.i-term.dk.